Improve Your Driveway with Our Crushed Stone & Stonedust - Greely Sand & Gravel Inc. Need to breathe a little life into your old driveway? Want to improve the pathway behind your home this summer? Can’t find a proper base for your interlocking brick walkway? We can help! Our pristine Crushed Stone & Stonedust is the answer for all these projects and more. Don’t delay and place your order with Greely Sand & Gravel today. 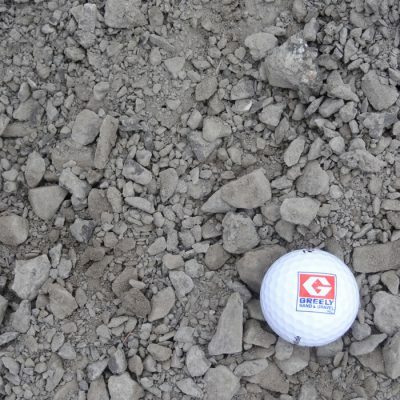 Greely Sand & Gravel Inc. is one of the largest suppliers of topsoil, gravel, sand, stone, mulch, landscaping and construction products in Eastern Ontario. Founded by Brent Pyper in 1982, and now proudly managed by Brent, his son David and daughter Tara, Greely is widely known for our exceptional service and high quality products. We look forward to serving you! With our guarantee to deliver premium topsoil, gravel, sand, stone, mulch and more at an affordable price, it’s always been easy to choose Greely Sand & Gravel Inc. Now with our quick and clean garden bags, getting landscape supplies from Greely is more convenient than ever.